Also available in a two-pack with the new album from Dirk Serries. 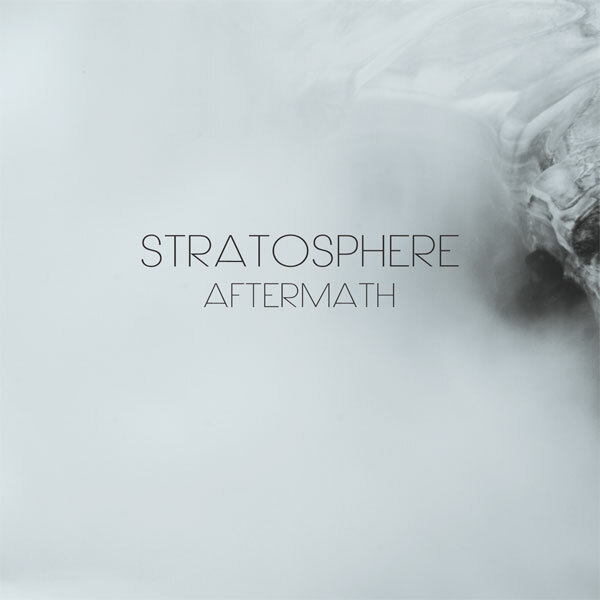 Aftermath, the second Projekt release from Belgium’s Stratosphere (a.k.a. Ronald Mariën), is built upon layering shimmers of guitar and bass-generated tones and drones. The album’s core seems inspired by post-rock, drone ambient and the work of Fripp & Eno, yet it speaks its own expressive voice. The stormclouds of guitar-generated soundsculpting utilize textures, sometimes shadowy, sometimes melodic and engaging, all swirling in slow dynamics of change to obscure and reveal the passionate resonance of the creator himself. 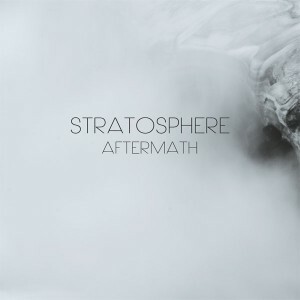 On Aftermath, Stratosphere continues to explore the consequences of a darker period of life, still feeding on his recent experiences which influence compositions towards tension and emotional outbursts not found on early Stratosphere releases. These moods are translated into six tracks of an introspective, personal nature. For the listener, this emotion comes across as warm, satisfying and engaging: a towering sonic experience that is apprehensive yet unlifting. As the final track, “When You Think Everything is Alright…,” reveals, there is hope with a path for brighter futures. Hidden underneath the gloom, a strong and positive side shows through. Aftermath affects the listener, fluidly circling through crescendos of feelings, processed sounds and guitar drones. Stratosphere (a.k.a. Ronald Mariën) has been evolving his musical craft since the early 90s, starting in a more industrial / experimental area and then gradually moving towards more shimmering ambient soundscapes incorporating some of those strengths, which is where we are at with Aftermath, his second release for the Projekt label. Like its predecessor, In a Place of Mutual Understanding from 2013, friend and associate Dirk Serries (Fear Falls Burning, VidnaObmana) is on hand for support, although to what extent is not so clear; the credits on the disk don’t offer a lot in the way of details, and it would be interesting to know what instruments and processes are behind the floating textures and loops that form the foundation of all the pieces at hand, as it doesn’t seem like your standard synthesizer fare. Though Ronald Mariën (aka Stratosphere) and Dirk Serries earlier collaborated on the 2013 Projekt album In A Place of Mutual Understanding, these latest releases see the two artists operating separately. It makes sense that Disorientation Flow and Aftermath aren’t combined into a single, double-CD release, given their fundamental differences. That being said, both are strong collections that impress as a complementary pair. Serries’ second solo album on Projekt follows in the footsteps of his 2014 release The Origin Reversal. In simplest terms, Disorientation Flow captures Serries in ambient-drone mode and using guitar to generate soundscapes of blissful and serene character; stated otherwise, anyone looking for material that’s abrasive and raw should look elsewhere. Characterized by languorous flow, Serries’ hypnotic settings drift gently as they direct the gaze heavenwards, their delicate tendrils and washes working in tandem to induce a state of becalmed entrancement in the receptive listener. And these five real-time improvisations—all but one extending beyond the twelve-minute mark—are literally Serries solo, as all of the album’s sixty-five minutes were produced by him using nothing more than an electric guitar and a handful of effects. Of the five pieces, it’s the closing “The Lament Broke” that’s the most haunting and elegiac. Yet while the tracks are distinctly titled and indexed, Disorientation Flow really functions as a totality, especially when the general sound design persists from one introspective setting to the next. Without wishing to suggest that Serries has taken his cue from Robert Fripp for the two Projekt releases, it’s easy to draw parallels between Disorientation Flow and the live soundscapes recordings Fripp issued during the ‘90s (A Blessing of Tears, That Which Passes, The Gates of Paradise, et al. ), especially when the two artists’ projects are so complementary, tonally speaking. Like Serries’ release, Aftermath is the second album by Stratosphere to appear on Projekt, and Mariën likewise is responsible for all of the sounds on the hour-long release. But there are more differences than similarities between the two. For one, rather than being variations on a theme, the six tracks that constitute Aftermath are stylistically unlike one another, even if the differences are subtle. Secondly, melody is more pronounced on the Stratosphere set, plus the music is less retiring and more assertive. There’s an ambient-drone dimension in play for sure, but Mariën also works into the release elements of prog and post-rock. That the albums are different is made clear from the outset when “Accepting the Aftermath” starts the recording with a dramatic elegy where mournful themes and e-bow textures intone against a shimmering backdrop. If the opener seems generally melancholy, “The Search for Normality” begins to feel almost buoyant by comparison when its crystalline guitar shadings and molten stabs inch ever so incrementally upwards, and there’s a snarl to the music that never arises on Disorientation Flow. Aftermath isn’t without its serene moments, however, as attested to by the hymnal opening minutes of “The Search for Normality (Reprise),” and a Fripp connection emerges here, too, specifically in the slow-burning guitar timbres that appear in “Endless Despair” and lend it a No Pussyfooting-like quality. A little bit of Steve Reich also seeps into “Confusion” in background chiming figures that echo the American composer’s Electric Counterpoint, and Mariën expands on the album’s guitar-centric sound by adding bass in a number of places, most noticeably in the searing closer “When You Think Everything is Alright.” If Aftermath covers a lot of ground in its sixty minutes, the variety on display only makes the result more appealing. Dat Stratosphere, het alias van Ronald Mariën, de grote complexiteit van geluiden op Aftermath louter met zijn gitaar en een aantal effectpedalen voortbrengt, is bijna niet voor te stellen. Reeds in het eerste stuk ‘Accepting the Aftermath’ klinkt er voor je gevoel een compleet ensemble, zeker als je de fraaie melodieuze lijnen die Stratosphere trekt in ogenschouw neemt. Het album klinkt hierdoor zeer sferisch en beeldend en neemt je als luisteraar mee op een reis door de ziel. En neem de titels daarbij vooral serieus! ‘The Search for Normality’ klinkt dan ook sterk repetitief. Is dit omdat de zoektocht naar normaliteit per definitie tot niets leidt? Als al duidelijk wordt wat we daar überhaupt mee bedoelen, met normaliteit. Die zoektocht klinkt bij Stratosphere in ieder geval alsof hij verdwaald is in een spiegelpaleis, waar de klanken eindeloos in worden weerkaatst. In de ‘Reprise’ van de zoektocht is hij inmiddels uit het labyrint, maar daar is dan ook alles mee gezegd. Want ook hier kabbelen de klanken in een ritmische cadans, oeverloos. I think that the term “post-rock” tends to be overused sometimes in reference to melodic instrumental music with an edge—as if tossing vocals into the mix would let the piece shed its “post” manacles and just be rock. Aftermath from Stratosphere (aka Ronald Mariën) would certainly fall into that category. But if this is rock, it is rock at a slowed tempo, pulled into a soporific laze, like a patch of sun moving across the floor late in the afternoon, and occasionally shaken up with jagged lines. The guitars come in big layers here, piled into humming strata in varying degrees of distortion and texture. Singular elements, phrases just a note or two long, quiety assert themselves in loops against the droning atmospheres. Overall, the feel is warm and calm. Lush chords fill the air, gentle pick-sweeps across the body to send the notes shimmering off. That begins right in the early moments of “Accepting the Aftermath,” and forms a major part of the album’s sonic palette. In places, as on “The Search for Normality (Reprise),” Mariën brings in the sound of bowed strings. It adds a light orchestral tone and a pulsing rhythm to play against the washes. There is also gritty energy here. Toothy distortion spews off the guitar in “The Search for Normality” (not to be confused with its reprise!). It feels like Mariën is twisting his axe’s neck to wring the notes out of it, the resultant throttled noise buzzing in our ears. (You, like me, may find yourself checking your media player at the end of this track. I’ll leave you to see why.) “Confusion” changes the feel, entering on tapped notes that bounce back and forth and showing a certain tension at play in the harmonies and in the way the washes rise and shift, everything grabbing hold of the emotional power of minor chords. The closing track, “When You Think Everything Is Alright,” is surprisingly bright. Not that everything else is gloomy, but there’s an optimism in its voice that caught me a little off guard when I first heard it—and which I came to look forward to in later listens. The melody is very strong here, elements coming together in a sing-along tone and everything simply shining. Some might call it post-rock, but by the generalities of that term and the way this piece feels, I’d lean more toward post-folk. It’s homey and welcoming, then makes an effortless shift back toward distortion to create a great closing vignette for this hour-long ride. Aftermath is an excellent looping album. Where it slips into more ambient spaces, it’s quiet and unassumingly pleasant. When it raises its voice, you pay attention. The underplayed melodies and rhythms are crammed full of hooks. You may hum along, and you’ll definitely find yourself moving to it. I’ve truly enjoyed the several hours I’ve spent inside the sound here. An excellent, deep-listen-worthy release from Stratosphere. Dat het goed gaat met onze vaderlandse muziekscene getuigt het grote aantal homegrown releases dat de laatste tijd aan het alziend kritische oog van collega Flp en mezelve passeerde. Ik spreek dan niet alleen in termen qua kwantiteit, maar zeker ook qua kwaliteit. Hoewel wij ons vooral op het hardere werk concentreren, wordt er ook in de ambient/drone-stroming naarstig gecomponeerd en mooie platen afgeleverd. Het aantal Einzelgängers dat in deze kringen actief is, is haast niet meer op één hand te tellen. Denken we maar aan Ashtoreth, Syndrome, Dirk Serries (die instond voor de mastering van deze plaat), Monnik, Innerwoud, … Aan dit lijstje mag gerust ook Stratosphere toegevoegd worden. De hemelse openingsklanken (weliswaar met donkere ondertoon) van “Accepting the aftermath” grijpen je als luisteraar meteen bij de keel en doen de haartjes op je lichaam oprijzen. Het op post-rock en drone/ambient geïnspireerde werk van Ronald Mariën, de man achter Stratosphere, vormt een introspectieve therapie en reflecteert de gevolgen van een donkere periode uit’s mans leven. De zes soundsculpturen die samen op een klein uurtje afklokken, zijn opgebouwd uit glimmende gitaarlagen en bas gegenereerde tonen en drones. Het ene moment straalt de muziek een warme, geruststellende gloed uit om via een meanderende dynamiek tot emotionele crescendo’s te komen. Het is heerlijk wegdromen bij deze sonische sequenties, waarbij enkel het abrupte einde van “Search for normality” voor lichte irritatie zorgt omdat je op die manier even uit je dromerige trip terug richting alledaagse werkelijkheid gekatapulteerd wordt. Als de tonen van afsluiter “When you think everything is alright…” langzaam weg deinen overvalt je een positief gevoel met oog op een betere toekomst waarin uiteindelijk alles toch nog goed zal komen. Nog even vermelden dat deze resonerende straalstroom aan emotionele muziekfrequenties en soundscapes op passende wijze vorm gegeven werd middels fotografie van Benjamin van der Zalm, die in het verleden ook al voor o.a. Grown Below en Lighthousing ontwerpen afleverde. Open sollicitatie voor de volgende editie van Dunk! Net als zijn muzikale geestverwant Dirk Serries (die meespeelde op In A Place Of Mutual Understanding, maar voor Aftermath enkel de mastering op zich nam), is Stratosphere (Ronald Mariën) vastbesloten om niet bij de pakken te blijven zitten. Na het digital only Closure verschijnt nu zijn tweede album bij Projekt, dat toch een verschuiving van zijn aanpak laat horen. Bij de info over het album wordt gesuggereerd dat het mag gelden als een muzikaal verwerkingsproces, en het lijkt dan ook alsof de persoonlijke betrokkenheid en emotionele investering hier sterker in de kijker staan. Stratosphere blijft rondhangen in de zone waar gitaarambient, minimalisme en drones elkaar ontmoeten, maar klinkt deze keer misschien iets melodieuzer en melancholischer. Zonder een fletse bedoening te worden, ligt de emotie er net iets dikker op. Dat zorgt ervoor dat het album misschien ook iets toegankelijker is dan zijn voorganger? Mariën werkt met gitaar en bas, maar er komen veel effecten aan te pas, zodat hij een behoorlijk breed spectrum uit die instrumenten kan halen, soms met geluiden die eerder verwant lijken aan toetsen of pure elektronische manipulatie. Opener “Accepting The Aftermath” heeft een sound die afkomstig lijkt van iele synths. Een sobere melodielijn vloeit gestaag, omringd door galmende, gracieuze klanken, ergens tussen breekbaarheid en verlatenheid, zonder dat het daarom te zwaar op de hand wordt. Het dalende motief van “The Search For Normality”, iets dat je zo zou plaatsen in een oude New Order-release, wordt sneller verwerkt in meer vervormde klank met een ruwer reliëf, waardoor de muziek een kloekere, minder doordringbare massa wordt. De song krijgt na een abrupt einde meteen een ‘reprise’, maar die is niet alleen nog langer, maar laat ook een ander geluid horen. Aanvankelijk mooi gesitueerd in een wereld van iele gitaarambient, maar door een baslijn die plots op de voorgrond treed met een meer prominente harmonie, alsof hij even om de hoek gaat loeren en een blik werpt op de schimmige droompop van een Yo La Tengo. Iets vergelijkbaars gebeurt ook in afsluiter “When You Think Everything Is Alright”, waar een pulserende bas zorgt voor extra melodie en de song plots een heel andere dimensie aanneemt en meer licht gaat toelaten. Iets wat ook al gesuggereerd werd (ofwel zijn het onze interpretatievermogens die ons bij de neus nemen) door het lichtere artwork. Niet dat het album plots een vrolijk boeltje geworden is, want “Endless Despair” is goed voor een traag ontvouwende beweging in een geluidstunnel die weinig zekerheid biedt, terwijl de ritmische gitaarideetjes van “Confusion” ook al de start zijn van een filmisch drama. Opvallend is hoe de song door de orgelachtige klanken plots wat herinnert aan het soundtrackwerk van Hans Zimmer, weliswaar op een veel ingetogener manier. Echt mooi. Een nieuwe koers slaat Aftermath niet in, maar het onderscheidt zich wel duidelijk van voorganger In A Place Of Mutual Understanding. Voor een stuk is dit te verklaren door de afwezigheid van Serries (als muzikant), maar het lijkt ook wel alsof Mariën zelf iets meer afstand gecreëerd heeft tussen zichzelf en zijn collega en labelgenoot. Het album zou vermoedelijk baat hebben gehad bij een iets compactere structuur en een iets kortere lengte (een klein uurtje lijkt nu wat veel), maar het is niettemin een coherent statement dat de luisteraar deelgenoot maakt van een proces dat direct en indirect inwerkt op het gemoed, maar uiteindelijk afsluit met een muur van geluid die zachtaardig wordt afgerond, en niet een conclusie van nutteloosheid of leegte achterlaat, maar één van herwonnen hoop. Projekt Records continues to sound out the borders of abstract and ambient music which draws its originalities from the long hummings filled by an industrial heat. After my experience with Dirk Serries, it’s now the turn of Stratosphere to dump feelings crystallized in a fusion of guitars’ tears, voices pads as much attractive as obsessive and synth lines with colors nuanced by the paradoxes which is flavored by the perfumes of airy drones. Stratosphere is Ronald Mariën. A Belgian sound sculptor of soundscapes, just like Dirk Serries, whose first outcomes have passed by a long road pierced by the incomprehension in front of a kind of sound expression which only attracts a handful of followers. And nevertheless, we all seek to fill the silence… No?! And I would say that this Aftermath reaches this goal wonderfully. Some very limpid notes of guitar are bouncing like pearls of crystalline water. Their igneous shadows melt into hollow breaths and turn into absent voices which quite slowly are caressed by the silent impulses of a layer of bass. Reverberations in contrasting tints on a play of iridescent shadows, the introduction of “Accepting the Aftermath” plunges us in full heart of the paradoxes of Aftermath. The riffs of guitar remodels their harmonies on these faded pearls, dancing like eternal flames in the elastic effects of those layers unfold by a bass guitar which spreads its lugubrious and bewitching waves. We can hear pads of Gothic voices there resuscitating some more astral voices all over the length this duality between the harmonies congealed in minimalist patterns and these somber effects of synth/guitar which remains the main axis of charms of Aftermath. “Search for Normality” proposes a heavy and stifling ambient structure where these harmonies are completely gulped down by the oblivion. The hummings are in the heart of a storm which forces a very good, and mesmerizing I have to insist, crescendo of atmospheres and distortions which ends in a rather abrupt way. It looks like our ears ran out of air! Its reprise, which has nothing of comparable, unwinds some peaceful riffs which murmur in glittering synth pads where the duality of the shadows lies down a soft sibylline ambient ballad. Each track also proposes its vision of the development of intensity. Here, the movement adopts a kind of slow staccato, a little as if Ronald Mariën had let his spirits be fooled by a possible ambient rock. I like the very intense envelope and the emotion of this track which has hooked my ear as soon as the first 3 minutes have burned its atmospheres. The same pattern appears in “When you Think Everything is Alright…” but with more liveliness. That ends even in this kind of chaos which concluded the wild shows of hard rock in the 70’s. “Endless Despair” decorates again these black ambiences. It’s a very ambient piece of music with a fascinating opposition between the somber synth layers and the growls of a six-strings. There are weak translucent rays which pop out, reminding me Michael Rother’s bases without the Teutonic harmonies. Except that Aftermath is not totally deprived of these harmonies. They are more ethereal ones and they roll in loops. Loops weaved tightened in a minimalist envelope, like in “Confusion” where they flow like pearls at the bottom of a river which becomes misty of toxic waste. There is a wonderful dramatic crescendo in this track which catches the attention, and the pleasure of our ears, from the first listening.